Women Igniting the Spirit of Entrepreneurship (WISE) is bringing powerhouse guest speakers to the 14th annual WISE Unplugged conference on Tuesday, April 19, to inspire an anticipated hundreds at SKY Armory in Syracuse. The event runs from 8 a.m. to 5:30 p.m. and features a full day of speakers and opportunities for networking where women business leaders share insights, lessons and best practices that empower others to follow in their footsteps, or carve a path of their own. WISE Unplugged is a revamped format for the annual WISE Symposium and a collaboration between the Martin J. Whitman School of Management, The Events Company and SKY Armory. 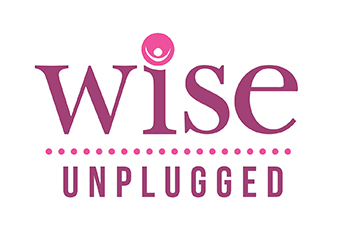 WISE Unplugged benefits the WISE Women’s Business Center (WBC), which offers mentoring and consulting services to women entrepreneurs, as well as networking opportunities. The economic impact of women entrepreneurs continues to rise each year; in 2014-2015, the WISE WBC counseled 125 local clients (with a combined gross revenue of over $47 million), as well as trained 630 women entrepreneurs. “I wish the WISE programs existed when I started my business 20 years ago,” says Nicole Samolis, CSEP, founder and creative director of The Events Co. and SKY Armory, who has been closely involved in WISE and the WBC. “Finding entrepreneurial start-up help was fairly non-existent at that time. I had to do it alone, finding resources and learning from my own mistakes. Operating a business can be a lonely role; being able to share and learn from people like me would have been so nice. I’m honored to be able to help other women dream, believe and pursue a venture.” The Events Co. has helped the Whitman School’s Falcone Center for Entrepreneurship produce the WISE symposium for 10 years. This year, WISE is “unplugging” by creating a more intimate setting (attendance will be limited to 350 people) for learning and conversing with other entrepreneurs. In an updated format for this year, all of the program content will be shared as general sessions so attendees will have the opportunity to hear all speakers. Pam Sherman, a nationally syndicated columnist (“The Suburban Outlaw”), actor, recovering lawyer and leadership consultant who was profiled in People Magazine about her career transition from attorney to actor. Sherman is a keynote speaker about finding your EDGE™ in the best possible way, to explore, dream, grow and excite. Jeanette Sweet is the founder of HR-Max, which applies “talent management” techniques to the traditional human resource function. As the author and creator of ©Workfit 101, she takes business owners’ brains to the “gym” in order to increase their own effectiveness, reduce their employer cost by hiring, managing and keeping the right employees. Mary Schechter is president and founder of theintuitiveorganization.com and is a consultant, trainer and leadership coach who pioneers organizations toward a fearless approach to performance management. Her expertise is in developing self-mastery and the interpersonal skill set that builds best practices using emotional intelligence training. 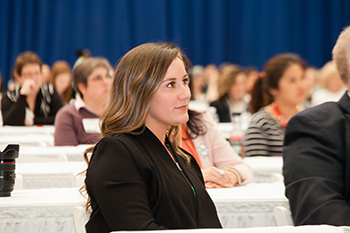 An audience listens to a presentation at last year’s WISE conference. Throughout the day, a business expo will be open with companies showcasing their products and services. The winners of the Ann Michel Distinguished Entrepreneur of the Year and WISE Faces of Success (presented by Y94) will be honored at a brief ceremony following the keynote presentation. For tickets, visit http://wise2016.eventbrite.com. Discounted pricing is available for students. The WISE Symposium is organized in conjunction with the WISE Women’s Business Center and was launched by the Falcone Center for Entrepreneurship, located in the Whitman School of Management, which has provided critical event support since its inception in 2003. WISE fosters the pursuit of entrepreneurial opportunities of women from all walks of life and sponsor events to promote entrepreneurial thinking among women in the Central New York region. For more information, contact Lindsay Wickham, Falcone Center events and communications manager, at 315-443-3550 or lwickham@syr.edu.